New FWPD liasion officer "ready for new challenge"
Fort Worth Police Department Officer Kellie Whitehead said this week that she sees her new assignment as the department’s liaison to the LGBT community as an exciting next step in her 12-year career with the department. “I was ready for a new challenge, for something different, and after talking to [former LGBT Liaison Officer Sara Straten] I was very excited about this new opportunity,” Whitehead said. Criado said that Whitehead’s previous assignment as a Neighborhood Police Officer had given her experience that will be invaluable in her new role as LGBT liaison. “The Neighborhood Police Officer program is about community policing. These officers are assigned to work in a specific designated area and to build relationships with the people of that neighborhood,” Criado explained. “A patrol officer responds to specific calls and has to clear those calls and move on to the next one. The Neighborhood Police Officer is the one who is there, on call 24-7, to follow up on any problems. They are mediators, friends, problem solvers. This program frees these officers up, gives them flexible schedules, so they can work on issues long-range,” Criado added. Read article: New FWPD liasion officer "ready for new challenge"
Congratulations and good luck to PO Kellie Whitehead. I'm sure she'll do a good job. The previous liasion went to another assignment. Good for her. Now she'll have more time to have dinner wth her Daddy. And if she can't, maybe she can talk the department into changing their schedules around so she can. Did she show up at the conference like she was supposed to? Five people were arrested early Sunday — one for assault on a police officer — after a fight broke out on South Jennings Street, near the Rainbow Lounge. The officer was not injured, according to this report by the Fort Worth Star-Telegram. Tom Anable, president of Fairness Fort Worth, noted that the Star-Telegram story incorrectly implies the incident occurred inside the bar, which became famous after a June 29, 2009 raid by police and the Texas Alcoholic Beverage Commission. “This was a fight between two groups of people that happened outside the bar, after the bar was closed,” Anable said. Fort Worth LGBT Liaison Officer Kellie Whitehead said today she’s still trying to confirm all the details, but reported that officers were called to the scene at 2:27 a.m. in response to a fight between two groups of people. She said the first officers to arrive on the scene approached a man who appeared to be about to fight with someone else. She said the man “turned on the officer and took an aggressive stance,” and so the officer put the man in handcuffs. At that point, Whitehead said, others in the crowd “started getting aggravated,” and someone threw a high-heeled shoe at the officer. Other officers arrived, and one of them approached a man “who appeared to be intoxicated,” and that person punched the officer. It sounds like the original responding officers handled the situation correctly. Why are they creating a special liasion over just this? It's good for departments to have liasions but the groups that the liasions are there to "help" have to be on point as well. If members of a particular group are breaking the law, they need to be subject to the same processes that everyone else is subject to. And not use their "special category" as an excuse to not face the music. Cpl. Tracey Knight knows what it’s like to be openly gay in Fort Worth — and what it’s like to patrol the streets as one of the city’s police officers. In her new role as the department’s LGBT liaison officer, she hopes to bridge the gap between the LGBT community and a police department committed to improving a somewhat tenuous relationship following the 2009 raid of the Rainbow Lounge. “I think it’s no secret that we’ve had some issues in the past here at Fort Worth,” Knight said. She has been out for roughly 10 years and wants to help dispel what she says is a misconception that the department is anti-gay. “Just with the [LGBT liaison] position alone and with the chief’s stance, I really think people are understanding what we’re like here,” she said. Knight has been in the position since Tarrant County Gay Pride Weekend and is the department’s third LGBT liaison officer in as many years. She takes the reins from Kellie Whitehead, who served for a year after Sara Straten spent two years as liaison. Fort Worth police Chief Jeffrey Halstead said Knight played an integral role in establishing a multiculturalism and diversity recommendation committee about a year ago, and her work with that committee served as a natural segue into the liaison position. Knight brings to the table excellent leadership and communication skills and is well respected within the department, Halstead said. She will be a crucial asset in what he says is the most important position to continue to improve the relationship between the gay community and the department, post-Rainbow. Halstead said the liaison turnover wasn’t intentional, but was expected as the program got off the ground. Knight said she’s in it for the long haul. A group of civilians is shaping the future of LGBT education within the Fort Worth Police Department. 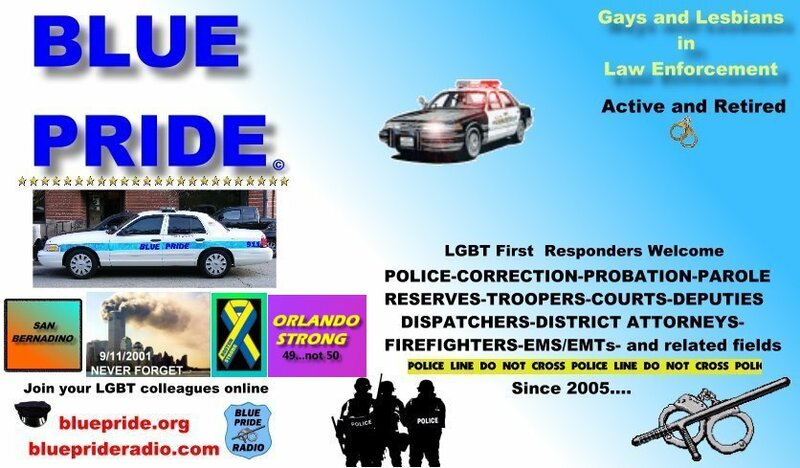 Inside a small police academy classroom at the department’s training center, LGBT “citizen peers” from varied personal and professional backgrounds will spend the next several months developing the curriculum for future academy classes. The LGBT group is one of a half dozen break-out groups from the department’s Multicultural Committee. Each group, comprising citizen volunteers, will meet separately to develop training materials, which will be used to educate new officers about the culture and customs specific to the respective groups. Essentially the groups are letting officers know how they want to be treated and what officers can expect to encounter. The process is expected to last up to six months but it’s up to the citizen peers how long it takes, Povera said. Each group has two department facilitators who will help steer the meetings and will be able to convey to the rest of the department the information derived from the break-out groups. Neither Povera nor Detective John Bayer is gay. Department command staff strategically chose facilitators who were not members of the target group. “If you were part of that group, you really wouldn’t be able to relay that to folks because I think it may be a bit of a credibility issue,” Povera said. The LGBT group is diverse in its composition. Volunteers include a retired English teacher, a city councilman and a church administrator. Charlotte Sobel, a retired architect, has served in a similar role before. She was part of the city manager’s task force in the wake of the raid at the Rainbow Lounge. She helped develop the LGBT curriculum out of that focus group and trained more than 5,000 police officers and city employees. Sobel said she hopes the multicultural group can integrate some of that curriculum into the new academy training program. She looks forward to working with the other members of the group.